The main job of a pastor is to �equip the saints� to do the actual work of service. 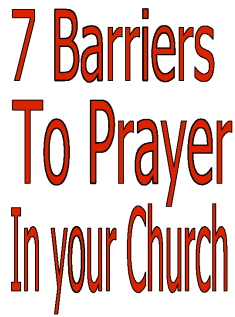 When a pastor leaves the impression that prayer can only take place with a member of the staff present, or even that ordained personnel have some kind of inside track with God, members of the church will be reluctant to pray. Imagine if, instead of approaching the crippled man and saying, �Rise, pick up your bed, and walk!� they had said, �We'll pray for you at our weekly prayer meeting? In particular, this �busyness� can make the church members so tired doing various good works that they don't have time for communion with God. This doesn't mean that many of these things aren't good in themselves, but God has a mission and priorities for each church, and we need to follow his priorities.